NBC Sports affiliate and Mike Florio brainchild Pro Football Talk caught wind of a report that the Detroit Lions will be hosting the Chicago Bears once again for their annual Thanksgiving game on Tuesday. 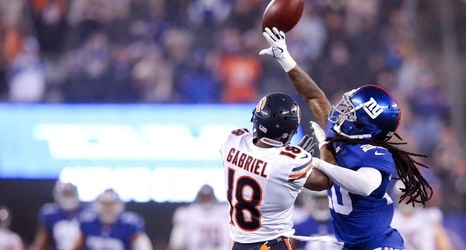 When Bears reporter Aaron Leming quote tweeted the PFT report asking why the NFL can’t think of another match up, Chicago receiver Taylor Gabriel replied with “Easy W don’t worry”. The receiver deleted the tweet, but not before a screenshot was captured by PFT. Detroit entered the 2018 season having won nine of the last ten meetings with their NFC North rival, but Chicago was able to get the better of them twice last year for a season sweep.